More PMET jobs are created as companies look overseas for opportunities to transform their business. 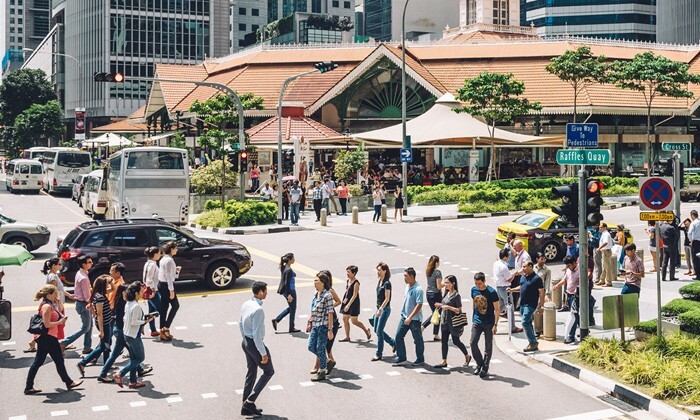 The latest Internationalisation Survey released by International Enterprise (IE) Singapore revealed that overseas operations created jobs that were more likely to be skilled than domestic-only operations. With jobs created for internationalisation skewed towards Professional, Managerial, Executive and Technician (PMET) jobs – 61% of internationalisation-focused jobs were PMET positions vs 53% for domestic-focused jobs. The survey of 700 companies across major sectors further revealed that while overseas expansion created jobs both in Singapore and overseas, majority of the jobs based in Singapore went to Singaporeans and PRs, and SMEs had a higher propensity to send Singaporeans and PRs to take up the jobs based overseas. Southeast Asia and China remain top markets for Singaporean companies, as more than half of Singapore companies are found to have footprints in top markets of China and Malaysia. For 2017, companies also indicated increasing interest in Vietnam, Myanmar and India. Digging deeper, the survey revealed that SMEs expressed renewed interest in Vietnam and India; meanwhile large enterprises expressed renewed interest in the US and UK. ALSO READ: Will Trump’s victory have positive results for APAC workforce? 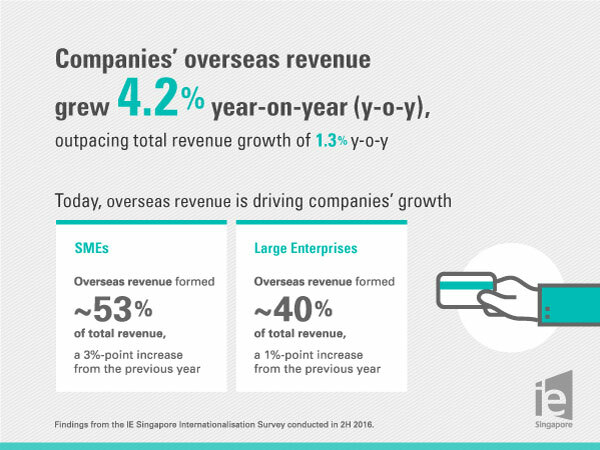 In spite of the economic slowdown, overseas revenue (OR) were found to drive growth of Singapore companies with both SMEs and large enterprises seeing a rise in OR’s contribution to total revenue. For SMEs, OR formed 53% of total revenue, a 3%-point increase from the previous year, while OR formed close to 40% of a total revenue for large enterprises, a 1%-point increase from the year before. Lee Ark Boon, chief executive officer of IE Singapore, said: “Internationalisation is core to sustaining Singapore’s growth and IE Singapore will continue to support companies venturing beyond our shores, in particular to Southeast Asia, China and India, where 20 of our 37 overseas centres are located. Research says yes - programmes that encourage employees to take responsibility for their own weight may have detrimental effects f..